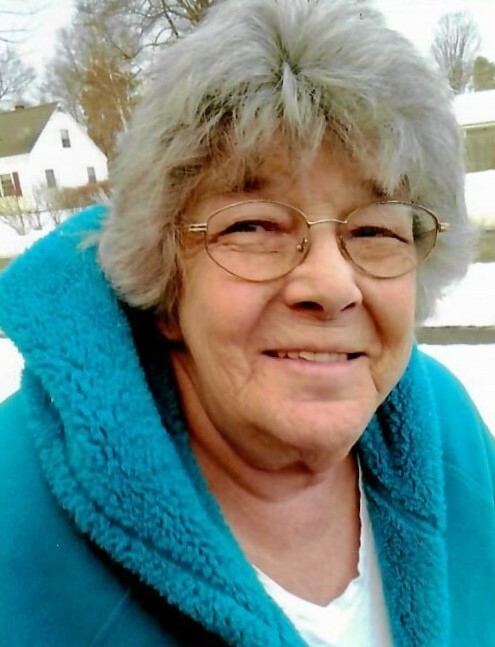 Obituary for Mary Sanford | Kostanski Funeral Home, Inc.
Mary F. (Esterbrook) Sanford, 74, of Sunrise Terrace died Wednesday (3-27-19) at home. She was born in Holyoke July 30, 1944 the daughter of Earl Esterbrook and Dorothy Hartwell Whiting. Mary attended local schools. She was a CNA for Charlene Manor Extended Care Facility for many years. Mary enjoyed crafts, puzzles, crocheting and boating. Most of all she loved spending time with family and her grandchildren and the holidays. Mary leaves her children; Pam Stone of Montague, Donald Hill of Colrain, Crystal Hill of Greenfield and Josh Sanford of Montague: her grandchildren, Alan Stone, Joseph Hill, Nathan Hill, Alyssa Hill, Joslynn Sanford, Jenna Sanford and Jemanae Sanford. Mary was predeceased by her grandchildren: Nicholas Stone and Katelynn Page. She also leaves her siblings; Dennis Esterbrook, Philip Esterbrook, Rodney Patten, June Gonzales and several nieces and nephews. A Celebration of Life will be Saturday 4/27/19 1-4pm at the Montague Lodge of Elks,1 Elk Ave, Turners Falls, MA.